Fully illustrated. 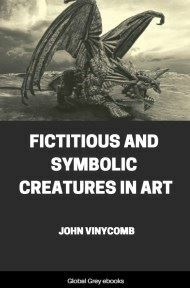 This is a set of three connected essays on the symbolism and development of the concept of the dragon in world mythology. 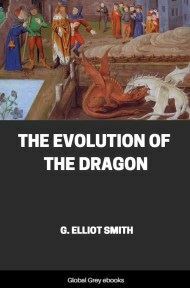 Smith proposes a theory of how the dragon originated as a representation of the Mother Goddess, a symbol of the power and mystery of nature, and later evolved into a symbol of evil, turning into the prototype for the Christian devil. He uses linguistic, ethnographic, and biological data to bolster his theory. While in some respects a difficult book, depending on one's attention span, it is also a browser's delight. 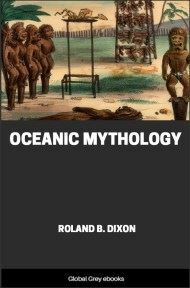 We learn about the origin of clothing, the water of immortality which Gilgamesh sought, and the symbolism, folklore and biology of the octopus, mandrake, pearls, cowry shells, etc. 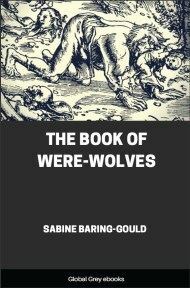 In particular, students of comparative mythology will enjoy this book. The dragon was primarily a personification of the life giving and life-destroying powers of water. This chapter is concerned with the genesis of this biological theory of water and its relationship to the other germs of civilization. It is commonly assumed that many of the elementary practices of civilization, such as the erection of rough stone buildings, whether houses, tombs, or temples, the crafts of the carpenter and the stonemason, the carving of statues, the customs of pouring out libations or burning incense, are such simple and obvious procedures that any people might adopt them without prompting or contact of any kind with other populations who do the same sort of things. But if such apparently commonplace acts be investigated they will be found to have a long and complex history. None of these things that seem so obvious to us was attempted until a multitude of diverse circumstances became focussed in some particular community, and constrained some individual to make the discovery. Nor did the quality of obviousness become apparent even when the enlightened discoverer had gathered up the threads of his predecessor's ideas and woven them into the fabric of a new invention. For he had then to begin the strenuous fight against the opposition of his fellows before he could induce them to accept his discovery. He had, in fact, to contend against their preconceived ideas and their lack of appreciation of the significance of the progress he had made before he could persuade them of its "obviousness". That is the history of most inventions since the world began. But it is begging the question to pretend that because tradition has made such inventions seem simple and obvious to us it is unnecessary to inquire into their history or to assume that any people or any individual simply did these things without any instruction when the spirit moved it or him so to do. The customs of burning incense and making libations in religious ceremonies are so widespread and capable of being explained in such plausible, though infinitely diverse, ways that it has seemed unnecessary to inquire more deeply into their real origin and significance. For example, Professor Toy disposes of these questions in relation to incense in a summary fashion. He claims that "when burnt before the deity" it is "to be regarded as food, though in course of time, when the recollection of this primitive character was lost, a conventional significance was attached to the act of burning. A more refined period demanded more refined food for the gods, such as ambrosia and nectar, but these also were finally given up." This, of course, is a purely gratuitous assumption, or series of assumptions, for which there is no real evidence. Moreover, even if there were any really early literature to justify such statements, they explain nothing. Incense-burning is just as mysterious if Prof. Toy's claim be granted as it was before. But a bewildering variety of other explanations, for all of which the merit of being "simple and obvious" is claimed, have been suggested. The reader who is curious about these things will find a luxurious crop of speculations by consulting a series of encyclopædias. I shall content myself by quoting only one more. "Frankincense and other spices were indispensable in temples where bloody sacrifices formed part of the religion. The atmosphere of Solomon's temple must have been that of a sickening slaughter-house, and the fumes of incense could alone enable the priests and worshippers to support it. This would apply to thousands of other temples through Asia, and doubtless the palaces of kings and nobles suffered from uncleanliness and insanitary arrangements and required an antidote to evil smells to make them endurable." It is an altogether delightful anachronism to imagine that religious ritual in the ancient and aromatic East was inspired by such squeamishness as a British sanitary inspector of the twentieth century might experience! But if there are these many diverse and mutually destructive reasons in explanation of the origin of incense-burning, it follows that the meaning of the practice cannot be so "simple and obvious". For scholars in the past have been unable to agree as to the sense in which these adjectives should be applied. 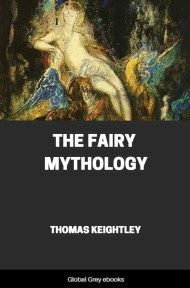 But no useful purpose would be served by enumerating a collection of learned fallacies and exposing their contradictions when the true explanation has been provided in the earliest body of literature that has come down from antiquity. I refer to the Egyptian "Pyramid Texts". Before this ancient testimony is examined certain general principles involved in the discussion of such problems should be considered. 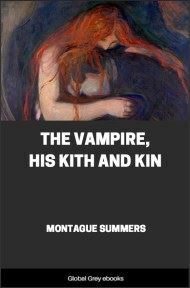 In this connexion it is appropriate to quote the apt remarks made, in reference to the practice of totemism, by Professor Sollas. "If it is difficult to conceive how such ideas … originated at all, it is still more difficult to understand how they should have arisen repeatedly and have developed in much the same way among races evolving independently in different environments. It is at least simpler to suppose that all [of them] have a common source … and may have been carried … to remote parts of the world."